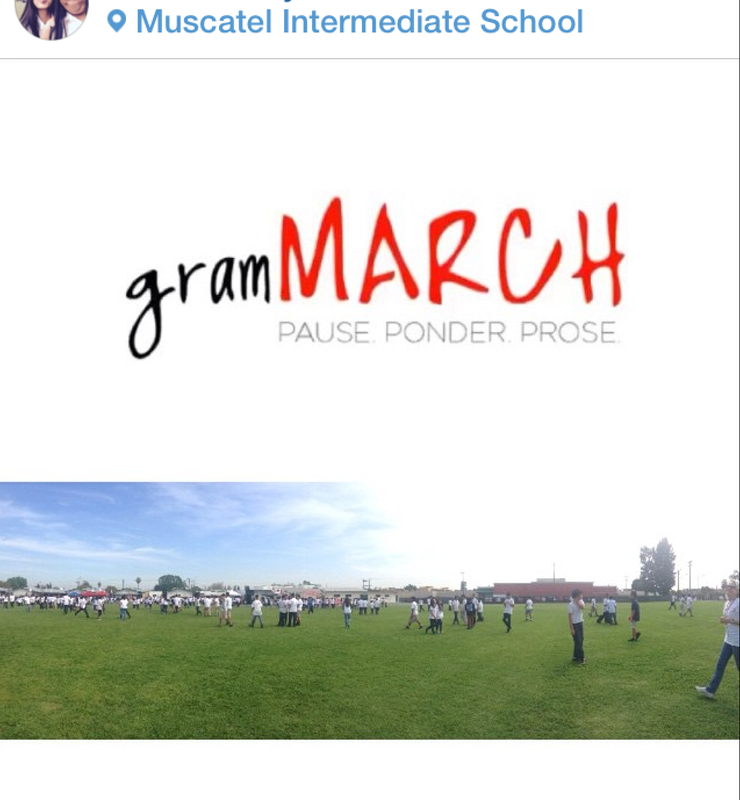 gramMARCH Madness | Have You Taken the Challenge? The following Interrogative Sentence is brought to you by Day 11 of The gramMARCH Challenge ~ Have you taken the challenge? 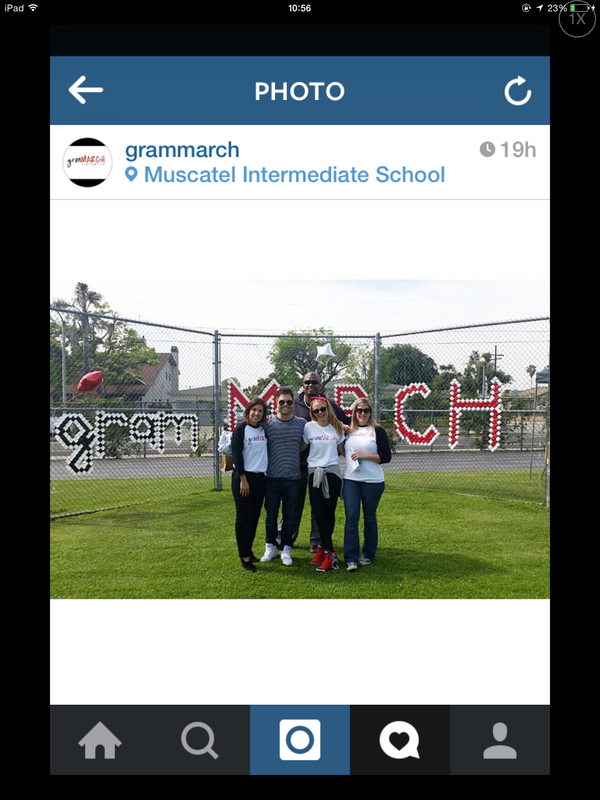 Yesterday I had the pleasure of sharing a few words with the students and faculty of Muscatel Middle School in Rosemead, California in celebration of The 2nd Annual gramMARCH Festival. It was an honor to be invited as a special guest along with El Monte Councilwoman Victoria Martinez, Rose Bowl Champ and USC Trojan, Rome Douglas, and Actor, Erik Valdez, currently recurring crime lord Carlito Solano on USA Network’s police drama “Graceland”. I Musca-tell you… It’s a little slice of heaven to be back on my home coast and out of the frozen tundra, also known as the east coast. 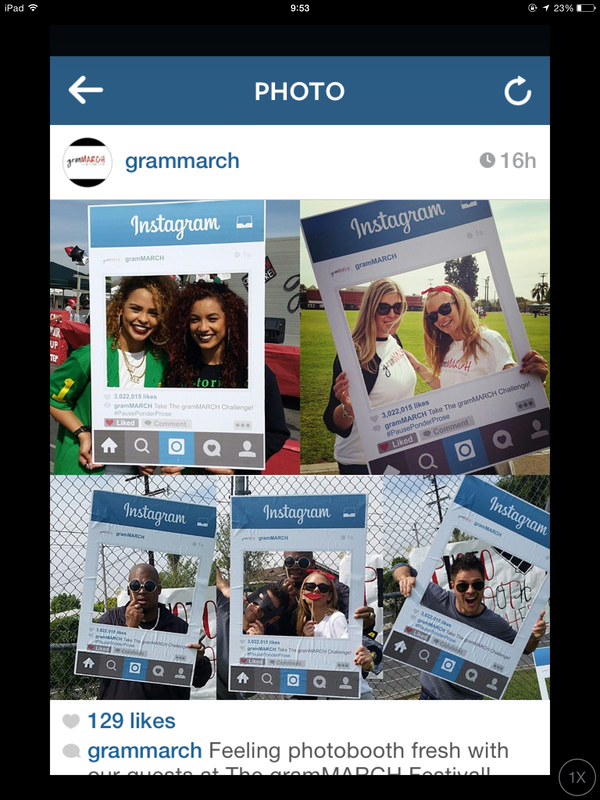 What an honor to be here with all of you today to celebrate the 2nd Annual gramMARCH Challenge. A little over a year ago a super cool girl named Heather Shotke connected with me on Twitter and told me about the upcoming challenge. We shared information, I sent her my little book- and in return, she sent me a giant package filled with t-shirts, posters, buttons and stickers. We agreed early on that we would love to join forces at some point because of our shared interest in getting young people and all of us to not only think, but really consider, literally, the way in which we communicate. I wish there was a true statistic for the ratio of LOL usage vs people actually laughing out loud at any given moment. Personally, and since I believe it is a rare occurrence, I do not LOL. I prefer to hashtag laughing audibly… If that is indeed the case. Thank goodness for this challenge of epic grammatical proportion to stimulate some creativity and originality! In all seriousness, it is my hope that you will consider carefully the social platforms you put yourself out there on and think about your personal privacy. I see it like this – Anonymity is the new virginity – and so many kids are giving it away quickly and carelessly without looking at the big picture. Whether we want to admit it or not, we are officially living in a time where young people are often asked to share an inappropriate photo before a first kiss. Your anonymity, like your reputation, is something to be valued. Think about it. Perception is reality. If I am your future college admissions director, it is highly likely that no matter what your transcripts say, I will make assumptions about you based on a simple Google search. You will be judged on the words you choose to share and the way in which you choose to share them. Perception is reality… and when it comes to the remarkable Miss Shotke, the assumptions are true blue of this teacher who is leading by example and affecting change. Finally, it is fitting on this, Day 10 of gramMARCH, to say that all of YOU taking, embracing and sharing this challenge, personify Pause. Ponder. Prose. in a big way. I think I can safely speak for Ms. Shotke when I say that this festival was an extremely organized and successful event because of the team effort and support of students, faculty and friends. I saw so many great examples of students working together throughout the day. 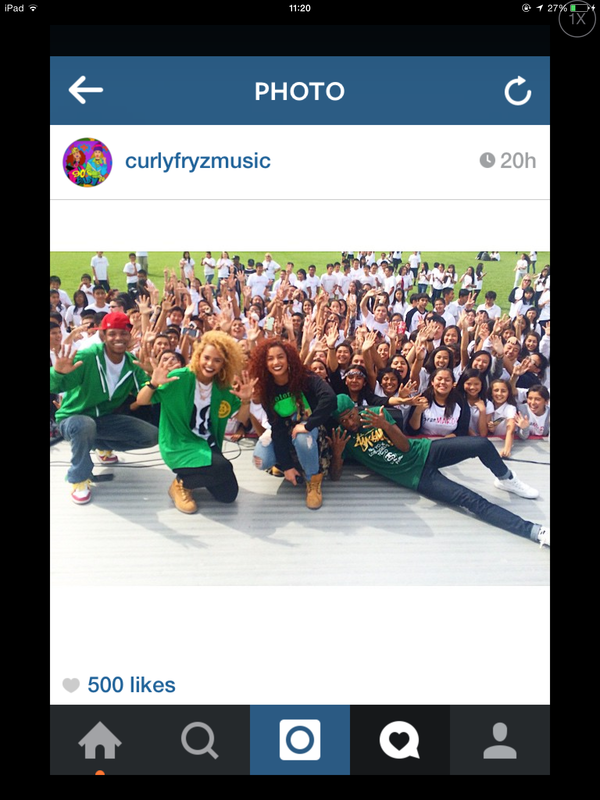 This should be a very proud day for all of you and your school. Congratulations! 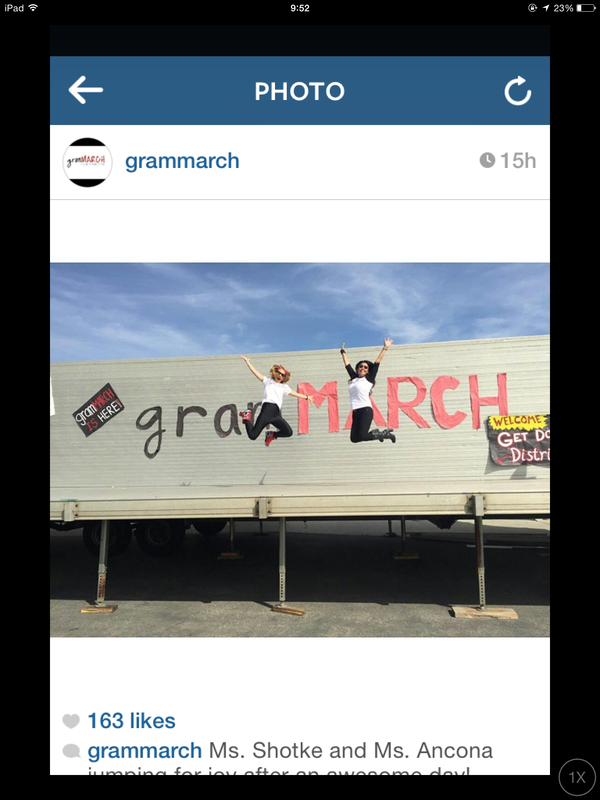 As Miss Martinez said, you hold the distinction of being the originators of the The gramMARCH Challenge. Ms. Shotke and Ms. Ancona jump for joy (and relief)! 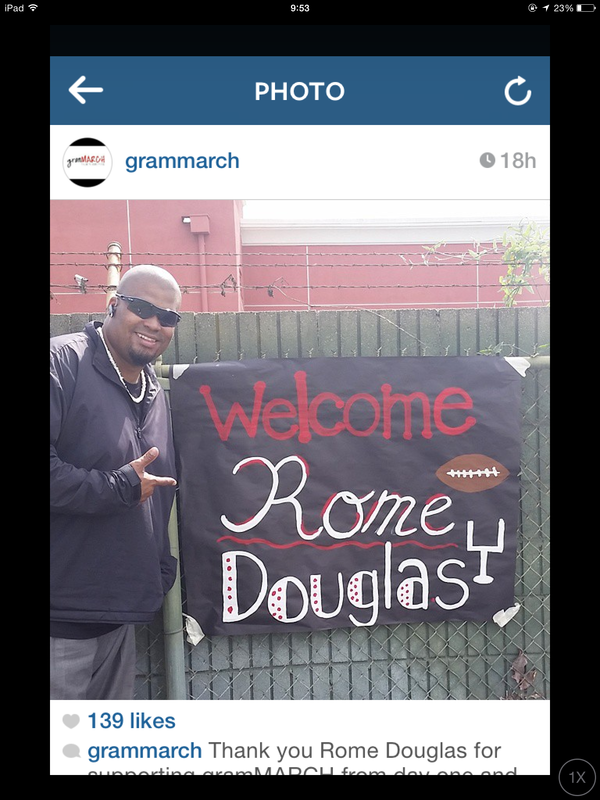 I will continue to spread the word about the gramMARCH Challenge and can’t wait to see what happens next year. Lastly, it was awesome to finally meet Heather in person and know that our instant connection is real. Stay tuned.